On March 8, thousands of women around the world took to the streets and went on strike. What is International Women’s Day and where did it come from? International Women’s Day is a global celebration that takes place in over 100 countries and is an official holiday in 25 of them. Due to de-politicizing efforts of the American mainstream, it is not well known that the day has always had ties to the Socialist party, Communism, and workers’ rights movements. As we reflect on the past few years of corporate feminism, its lack of potency in the fight against women’s oppression, and its apathy toward worker’s rights, it is as important as ever that we highlight this history. By tracing the history of the International Women’s Day we hope to draw important connections between the fight of the working class and the struggle for women’s liberation. 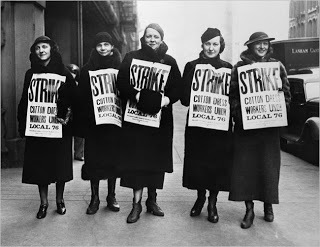 March 8th began as a commemoration of the 1908 strike by 15,000 women textile workers in New York City, most of them immigrants, in demand of higher wages, better working conditions, shorter workdays, as well as suffrage. In 1909, the Socialist Party of America designated March 8th as a memoriam to the 1908 strike. From 1909-1910, immigrant women garment workers staged a three month strike against dangerous sweatshop conditions, low wages, and long workdays. This strike is referred to as the Uprising of the 20,000 and was, in its time, the largest strike by women workers in the United States. The prominent labor union organizer behind the uprising, Rose Schneiderman, stated that “The worker must have bread, but she must have roses, too.” She emphasized that it was not enough for workers to gain the bare minimum for sustenance, they were also fighting for a better quality of life. The ladies garment worker strike led to the founding of the International Ladies Garment Workers Union to protect women worker’s rights in the workplace. The Triangle Shirtwaist Factory in New York remained anti-union and failed to address its unsafe working conditions. In 1911, a fire broke out in the factory and killed 146 women garment workers, most of them Jewish and Italian immigrants. 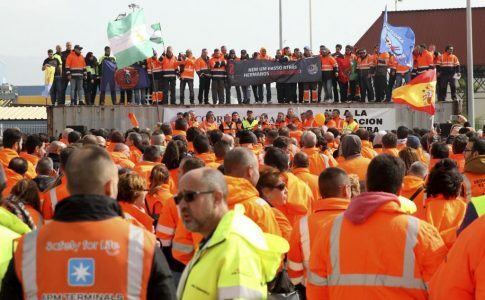 Upwards of 100,000 workers took to the streets as a demonstration against the incident. Their actions led to the proliferation of workplace safety reforms throughout New York. 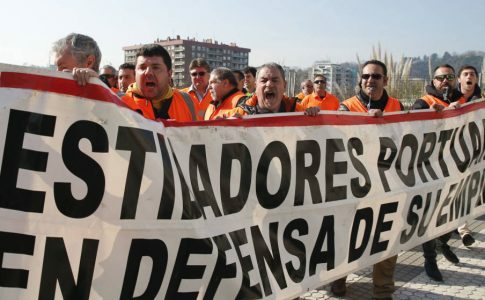 However, in the spirit of “bread and roses,” reforms are not enough to meet the demands that began the strikes, nor are they the reason that why we continue to strike. Prompted by the actions of the women’s worker movements in the United States and elsewhere, German Socialist Clara Zetkin proposed to designate March 8th as International Women’s Day during the International Socialist Women’s Congress of 1910. The proposal was passed unanimously by women representatives from 17 countries. This initiated the proliferation of the day into a truly international movement. A few years later in 1917, Russian women workers ignited the February Revolution on March 8th with a strike in demand of “Peace, Land, and Bread”. 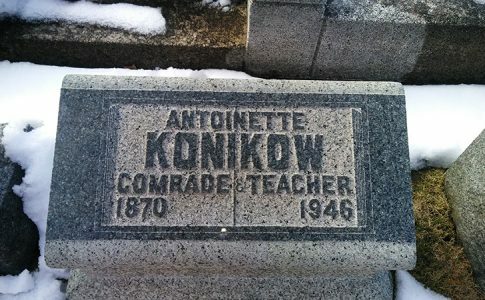 Their actions paved the way for the Bolshevik Revolution that installed a communist government that included within it measures for women’s liberation. In October of 1918, the Soviet Union passed reforms for birth control, abortion, and divorce, as well as decriminalized homosexuality. This year, International Women’s Day falls on the 100th anniversary of the February Revolution. Throughout history, International Women’s Day has been used around the world as a day to fight against fascism, imperialism, and capitalism through the lenses of the groups of women that are oppressed by these systems. 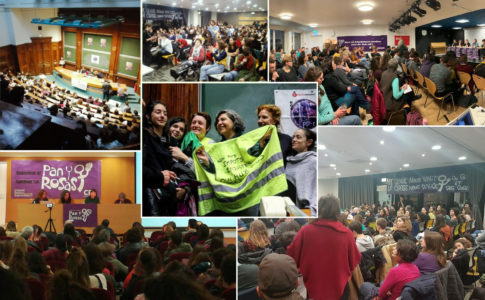 It has also inspired the creation of contemporary International Women’s Socialist groups such as Pan Y Rosas founded in 2003 in Argentina with women from Mexico, Chile, Bolivia, Spain, Germany, Uruguay and Brazil. By emphasizing the history of International Women’s Day, we hope to elicit a truly revolutionary feminism- a feminism that pits itself against oppression on all fronts- a feminism that has the power to fight for all women- a feminism of the working class. The view that the concerns about racism, sexism, ableism, homophobia, transphobia, and xenophobia are not working class concerns, is a continuation of the ideology that divides workers. International Women’s Day seeks to incorporate the experiences of all oppressed women in action toward liberation. We need to unify the working class through an understanding of all the ways that groups are oppressed, not in a way that ignores the specificities of oppression within the capitalist and imperialist system. In 1914, Louise Kneeland stated, “the socialist who is not a feminist, lacks breadth; the feminist who is not a socialist lacks strategy.” Breadth indicates the necessity of understanding the multiple techniques of power that oppress different groups of women and strategy denotes the ways that we are to disrupt the mechanism through which oppression functions. We need both breadth and strategy if we aim to participate in a truly revolutionary movement.